CONGRATULATIONS to the Selena Thinking Out Loud With Purpose, Space Warriors Blu-ray Combo Pack, Winner! Selena Thinking Out Loud With Purpose and Walden Family Theater is proud to announce the Space Warriors Blog App & a chance to Win a Family Trip to Space Camp! Watch Space Warriors, Premiering TONIGHT, May 31st Exclusively on The Hallmark Channel for your chance to win a trip for the whole family to the U.S. Space and Rocket Center's Space Camp! Keep an eye out for the secret keyword for a chance to go on location where Space Warriors was filmed and train like a real astronaut! In Space Warriors, six highly skilled teenagers are handpicked to be part of a summer space camp competition but they don’t realize that they will be forced to solve a life or death crisis aboard the International Space Station as the world anxiously watches. • Tweet with the #SpaceWarriors hashtag to share with your family and friends and tune in on May 31st for the secret keyword and a chance to win a family trip to #SpaceCamp! Six highly skilled teenagers are handpicked to be part of a summer space camp competition at the U.S. Space & Rocket Center in Huntsville, Alabama. As the competition heats up, the kids have no idea that their ultimate challenge will be to solve a life or death crisis aboard the International Space Station as the world anxiously watches. Starring: Thomas Horn, Danny Glover, Josh Lucas, Dermot Mulroney, Mira Sorvino and Booboo Stewart. Space Warriors is the second film in the Walden Family Theater original lineup featuring great family entertainment, airing Friday nights exclusively on Hallmark Channel. Walden Family Theater is creating films for the whole family to enjoy together, so make sure to mark your calendars and gather around the television to watch all the great upcoming films! Past films include: "The Chronicles of Narnia" series, "Holes", "Nim's Island", "Charlotte's Web", and "Return to Nim's Island." How To Enter Make sure to Watch Space Warrior, May 31, 8/7C on Hallmark and Enter this Blu ray Combo Pack Giveaway for One (1) Winner on the Rafflecopter Form provided Below! Good Luck! Disclaimer: The prize will be sent via FedEx or UPS. No P.O. Boxes please. Selena Thinking Out Loud With Purpose will contact the winner for prize shipment from the host of this giveaway promtion. This was delivered to me in promotion of the Walden Family Theater release of the Space Warriors Blog App. Any actions (including contest and competitions) that you complete with the provided assets are your liability, and should comply with both local and international laws. This blog is working with Walden Family Theater. No Purchase Necessary. Selena Thinking Out Loud With Purpose brings you to the Final Day of Baby Week, which is for all of the new dads and the dads who have been down this baby road before. 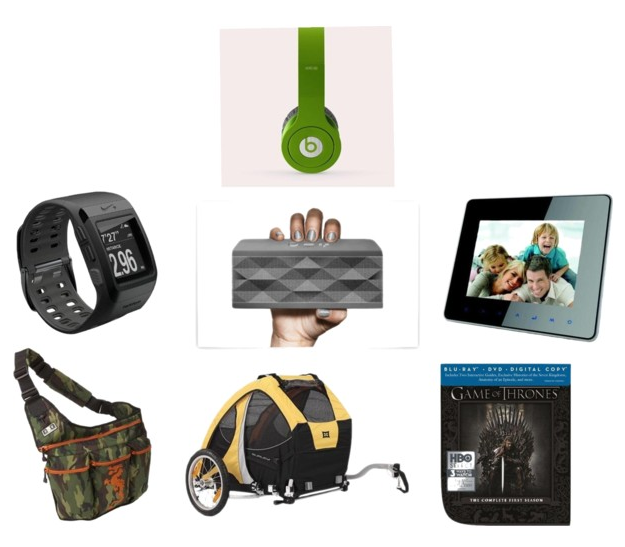 The Day 5 Giveaway is for $200 in Rakuten.com Shopping Super Points! Rakuten.com Shopping has some amazing gifts for any dad to enjoy and some examples are posted below for you. This giveaway is LIVE and the information to enter is found below. If you are just stopping by, since May 27 through today, May 31, 2013, I have announced a new baby giveaway for moms, moms-to-be and dads too! These events are hosted by mommieswithcents.com and supported by myself and other very special bloggers. 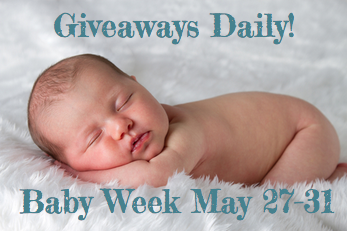 This Final Baby Week Day 5 Giveaway event ends June 6, 2013. Open to US. Must be 18+ to enter. Good Luck! Make sure to enter the other DAYS giveaways for Baby Week on Selena Thinking Out Loud With Purpose too, which can be found on my Giveaway Linky, Here! Help a new dad look cool while he’s lugging around those diapers and wipes with a camouflage messenger style Diaper Dude bags. If dad spends most of his day in the office, he’s sure to miss his little one. Set him up with a digital photo frame to keep on his desk. Let’s face it, new dads need time for themselves too. Let him catch up on all of the past TV series he’s missed with a complete DVD series of his favorite shows or movies – or this Jawbone Jambox so he can hear his favorite tunes. Likewise, if enjoying the outdoors and being fit is how dad likes to spend his spare time, set him up with a cool bike (and attachment for when baby has grown up) or digital health gadgets, like a Fitbit or Nike SportsWatch. All of these are great Father's Day gifts for a new dad but my top pick is Beats Solo HD headphones. Dad can jam to his favorite tunes as he bounces his fussy baby around the house to soothe it during those late night crying sessions. Or he can listen to a good audio book or sports radio while completing his honey-do list while mom rests. Either way, he'll love these stylish and super durable headphones with high definition sound. All of these items can be purchased at Rakuten.com Shopping where you'll find thousands of other items Dad might like for Father's Day. Rakuten Super Points are Rakuten.com Shopping’s rewards program that help you to reward yourself every time you purchase from the site. 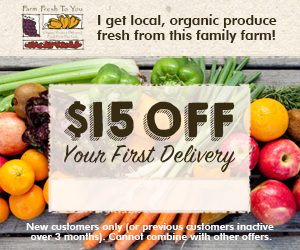 You can save your Points up to get the things you want for free or you can pay for part of your order with Points to get a discount. Earn 1 point per dollar spent. That's like getting cash back on every purchase. Thank Dad and all the hard work he does for the family all year long with something special! If your new dad wants to stay in the loop on all things pregnancy and baby, make sure to tell him all about MobileMom.com for a collection of mobile apps for moms & moms-to be. Enter to win $200 in Rakuten.com Shopping Super Points by filling out the Rafflecopter Entry Form provided below. Disclosure: This is a sponsored giveaway. Selena Thinking Out Loud With Purpose is not responsible for sponsor prize shipment. CONGRATULATIONS to the Selena Thinking Out Loud With Purpose, three-coupon pack of Luvs Super Absorbent Diapers, Winner! Selena Thinking Out Loud With Purpose is super excited to bring my readers this Bet On Your Baby Blog App and Luvs® Diapers Giveaway! Beginning Saturdays 8/7c on ABC, a new family show will go LIVE and you have the opportunity to get into all of the action. I am very happy to be working with ABC and PartnersHub, to bring you this amazing news and giveaway! Read all of the details about this event and how to enter below. This giveaway will end June 10, 2013, 11:59PM/PST. Open to US. Must be 18 years and older to enter. We’re proud to announce the arrival of Bet on Your Baby, Saturdays 8/7c on ABC, in partnership with Luvs®! • Get Social With It! • Tweet with the #BetOnYourBaby hashtag to get everyone you know excited about tuning in on Saturdays at 8/7c on ABC! One (1) of my readers will receive a three-coupon pack for Luvs® Super Absorbent Jumbo Packs. Please enter this giveaway using the Rafflecopter Entry Form provided below. Good Luck! Disclosure: Selena Thinking Out Loud With Purpose is working with ABC, who provided the materials to you. However, all information provided on this blog is 100% supported and approved. The prize will be sent via FedEx or UPS, No P.O. Boxes please. The winner will be contacted by this blog, via email, for mailing details after the Rafflecopter has ended. For US residents only. Must be at least 18 years old and older to enter. No purchase necessary. Selena Thinking Out Loud With Purpose brings you Day 4 of Evenflo Triumph Convertible Car Seat! This summer, when you're on the road for your road trips, grocery shopping trips, and visits with relatives, you're going to need a reliable carrier to transport your little bundle of joy. This giveaway is LIVE and the information to enter is found below. If you are just stopping by, everyday from May 27 through May 31, 2013, I will be announcing a new baby giveaway for moms, moms-to-be and dads too! This event is hosted by mommieswithcents.com and supported by myself and other very special bloggers. This Day 4 Giveaway event ends June 5, 2013. Open to US. Must be 18+ to enter. Good Luck! Make sure to check back tomorrow for the Baby Week Day 5 Giveaway announcement, to enter! The Evenflo Triumph 65 LX Car Seat combines top-rated safety and longevity with affordability. With advanced innovative design features, it boasts increased weight ratings for both rear-facing and forward-facing configurations, and an easy and secure harness adjustment system that lets you transport your child in comfort and style. Accommodating children 5 - 65 pounds, this seat is a winning solution to the challenges and expense of multiple car seats. The Evenflo Triumph 65 LX is a top-notch extended-use option at an affordable price. Infinite Slide Harness simply slides for an accurate fit. No rethreading necessary! The Evenflo Triumph is available at Target, Babies R Us and Walmart for $139-$149. For more information about Evenflo and their products, visit www.evenflo.com. Are you a new or expecting mom? Make sure to stop by MobileMom.com for a collection of free & useful apps designed for moms and moms-to-be! Enter to win an Evenflo Triumph Convertible Carseat by filling out the Rafflecopter Entry Form below. #Blogger Opportunity ~ Apple iPod Nano 16GB Slate - Sign Ups Open! Selena Thinking Out Loud With Purpose will be teaming up with a number of other bloggers for this upcoming Apple iPod nano Giveaway, beginning on July 8, 2013, for the readers. If you are a blogger and enjoy providing your readers giveaways, then this will surely be a great one for them. Please read all of the details about submitting your blog, below. Free links in exchange for participating are provided below with an announcement post on your blog, about the event. If you are a business blogger and/or do not want to post the announcement there is a $5.00 fee, sent to the host email via PayPal below. Please send payment to melisurveys1978@gmail.com via PayPal, as a gift. Selena Thinking Out Loud With Purpose brings you Day 3 of Baby Week with Moby Go Originals Baby Carrier & a Lassig Messenger Bag! When you're out on the town with your baby, make sure you have everything with you, securely in one place. This giveaway is LIVE and the information to enter is found below. If you are just stopping by, everyday from May 27 through May 31, 2013, I will be announcing a new baby giveaway for moms, moms-to-be and dads too! This event is hosted by mommieswithcents.com and supported by myself and other very special bloggers. This Day 3 Giveaway event ends June 4, 2013. Open to US. Must be 18+ to enter. Good Luck! Make sure to check back tomorrow for the Baby Week Day 4 Giveaway announcement, to enter! A good baby carrier is a must-have for moms. It allows you to have your hands free while still keeping your baby safe and close. Perfect for on-the-go or around the house, the Moby Go Originals Baby Carrier is an amazingly comfortable soft-structured baby carrier with wide shoulder straps for comfort and support. Easy to reach side buckles and a unique dual foam waist belt that adjusts from 26" to 54" inches makes it easy to put on and get a great fit every time. The Moby Go Baby Carrier features a pocket with an adjustable/removable hood. The Moby Go is designed for babies weighing 15-45 lbs and comes in black or grey. 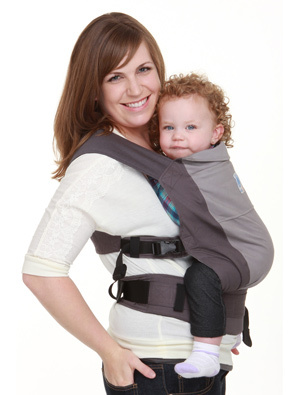 For more information on this carrier as well as other Moby baby carriers, visit www.mobywrap.com. Enter to win a Moby Go Originals Baby Carrier and a Lassig Messenger Bag by filling out the Rafflecopter Entry Form provided below.